It's easy! 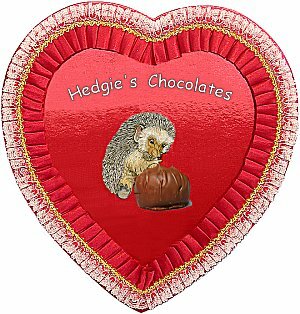 Download and printout the Hedgie Heart for the front of your card, then printout the black and white Candy Coloring page. Either tape or use a piece of yarn to tie the two pieces of artwork together and you'll have a special card for a parent, teacher, or friend.